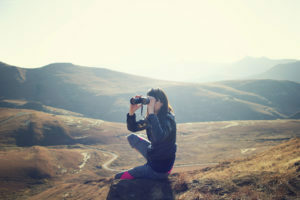 Every summer, our family takes a few weekend or weeklong backpacking and kayaking trips, and we quickly figured out that marine binoculars were a must-have for checking out the scenery and animal wildlife around whatever lakes or rivers we’re on. This summer we checked out Lake Powell, and we used our marine binoculars to spot some sheep and other critters on shore. We ended up going with the Bushnell H2O Porro Prism binoculars, and we had no complaints. However, we also tested a few other binoculars, and after going through our own notes, we checked out online reviews for the most popular binoculars. After looking everything over, we made our list of the top 7 marine binoculars and why they’re ranked where they are.